Citizens State Bank Mobile Banking is a free service offered to our Online Banking customers. However, there may be charges associated with text messaging and data usage on your phone. Check with your wireless phone carrier for more information. Yes, Citizens State Bank Mobile Banking service utilizes best practices from online banking, such as HTTPS, 128-bit SSL encryption, PIN, or password access and application timeout when your phone is not in use. Only the phones that you personally enroll in the service can access your accounts. In addition, no account data is ever stored on your phone. In the event your phone is lost or stolen, the service can be immediately disabled by either going online to www.csbanktx.com or calling Citizens State Bank at 936-398-2566 and 936-642-1444. Web option, or check back later, as new carriers will be added over time. You must first enable your bank account(s) for online banking before using Citizens State Bank Mobile Banking. Activation is a one-time process that helps ensure your security. After you enroll a phone, you will receive an activation code, which will be required to begin using Text or Mobile Banking on your device. Your activation code is good for 24 hours. If you are unable to activate your phone during that time, just return to the enrollment page on your computer and follow the prompts to request a new activation code. We recommend you print your activation code and installation instructions for easy reference during installation. With three mobile banking options to choose from, Citizens State Bank Mobile Banking provides you with the flexibility to manage your finances in a way that fits your lifestyle and your personal preferences. 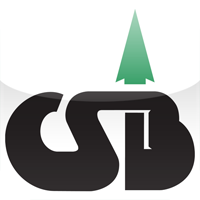 If you are a customer with Smartphone (iPhone or Droid), you may want to download the Citizens State Bank Mobile Application (App) and integrate your mobile banking activities into your Smartphone. If you are a customer who prefers to utilize the browser integrated into your phone, or you have a Smartphone other that those listed above, Citizens State Bank offers you the ability to access your accounts through our secure mobile website. If you are a customer that prefers the convenience of text messaging, our Text Banking solution will allow you to access your accounts and transfer funds in just seconds. You don’t have to choose. As a Citizens State Bank customer, you will have the option to use any combination of our Text Banking and Mobile Banking products. What is Citizens State Bank - Corrigan Mobile Banking? Mobile banking gives you access to your accounts from your mobile web browser or a downloadable free mobile banking application, depending on your preference and your phone capabilities. Both options allow you to view account balances, search recent account activity, transfer funds, and find the nearest ATM or branch locations. Log in to Online Banking from your computer. Go to User Services and choose the Mobile Enrollment option from the Manage Account box. Enroll your mobile phone and follow the activation instructions. After successful activation, your phone will receive a text message with your Mobile Banking URL. You can visit the site at any time. At the time of activation, a “cookie” is stored on your phone’s browser, which allows the Mobile Banking system to remember that you activated. The cookie is only visible by the Mobile Banking system and does not contain personal information. Some phones may require you to enable cookies or periodically erase them, requiring reactivation. If you are experiencing this issue, check your phone settings to ensure that cookies are enabled. If cookies are enabled and the issue persists, please contact your mobile network carrier for cookie support information on your mobile phone. If you would like to reactivate, text R or RECOVER to 96865. We recommend three (3) steps for an optimal experience: 1) Ensure your phone’s browser has cookies enabled. 2) In addition, enable stylesheets on your browser. 3) Bookmark our Mobile Banking site. Citizens State Bank Mobile Banking is supported on most phones with a mobile web browser that supports cookies. In addition, the mobile application is available on many smartphones including iPhone, Android, and Blackberry. Both mobile web and mobile applications can be found by entering the mobile web URL. Depending on how you have connected to the Citizens State Bank website and the type of phone you have, there are different ways to download the Citizens State Bank Mobile Application. What is Citizens State Bank-Corrigan Text Banking? What is the Citizens State Bank shortcode? The Citizens State Bank shortcode will be provided to you once you enroll in Text Banking. For ease of use, we recommend that you add this number to your phone’s address book or contacts and name it something that you will easily recognize, such as Citizens State Bank-Corrigan Text Banking. All text messages should be sent to 96865. Yes, you can use both options from the same phone. To do so you will need to activate each option on your phone prior to use. We recommend that you activate both Text Banking and Mobile Banking when you enroll, even if you aren’t sure that you will want to use both. By activating both at the time of your enrollment, you will eliminate the need to make changes later. Typically you should receive a text message within a few minutes after enrolling, however sometimes mobile carriers experience delays which slow down text message delivery. While waiting, make sure your phone has wireless signal. In addition, be sure you entered the correct phone number on the enrollment site. If you still do not receive it, contact your wireless carrier to be sure text messaging is enable on your phone. Activation codes expire after 24 hours. If you need a new one, return to the Mobile Banking enrollment site (Online Banking) and request a new activation code. If you get a new phone or change phone numbers, be sure to return to Online Banking (www.csbanktx.com) via your PC and update your phone profile in the Mobile Banking Center. We recommend removing your old phone and re-enrolling your new phone. Yes. Visit the Online Mobile Banking Center and simply enroll (and then activate) another phone number. At the time of activation on your phone’s browser, a cookie is generated which always tells the Mobile Banking system that you activated (thus allowing you to proceed to the sign on screen). However, some mobile phones will periodically erase all cookies, requiring you to re-activate. If your phone is lost or stolen, contact your mobile service provider immediately to stop all wireless service. In addition, return to the Mobile Banking website and remove your phone. Yes. You must re-roll into mobile banking after you purchase a new phone. Sign in to Online Banking on your computer and under User Services choose the Mobile Enrollment option. Enroll your mobile phone and follow the activation instructions.